"I couldn’t ask for a better office to manage. Our patients, dentist, and staff are all remarkable. I can honestly say I love my job." Kathleen is one of the first voices that will greet you and her smile will welcome you in every time. She will guide you through the coordination of your treatment and financial considerations. 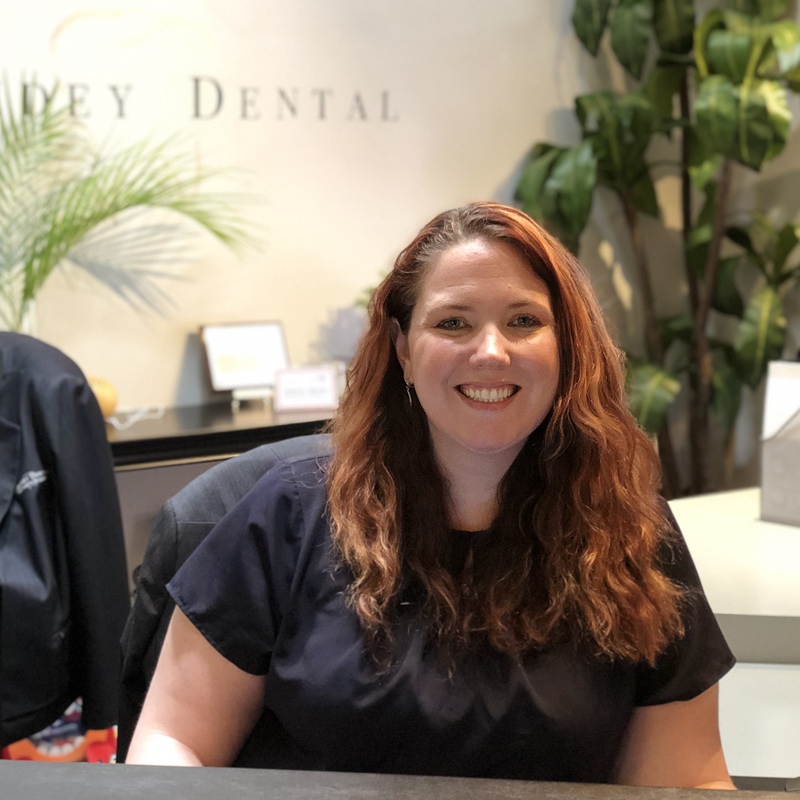 She has helped countless patients just like you, afford the dentistry they needed and wanted, and she would love to help you too. "With affordable, comfortable payments it's within everyone's reach - why put it off?". Kathleen has an absolute commitment to doing things the right way, always going the extra mile for you, and she also has all of the special sugar free lollipops! Make sure to try one when you come in next!